Details on Salman Khan Next 'Bharat'. Strong Rumours. What is the next Salman Khan film after Tiger Zinda Hai. There is murmur that either it will be Remo D'Souza's next or Dabangg 3. 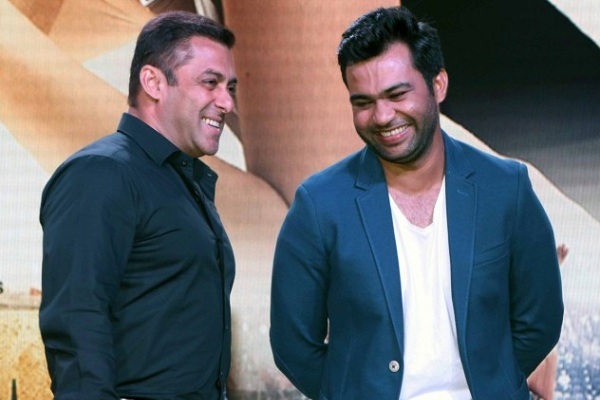 However, post release of Tubelight, there is strong rumour floating that Salman might do 'Bharat' and that will be directed by Ali Abbas Zafar of 'Sultan' fame. Co-incidentally Ali is also directing 'Tiger Zinda Hai.' If 'Bharat' happens then it will be third collaboration between Salman and Ali. Bharat will be produced by Salman's bother-in-law Atul Agnihotri and sister Alvira. If rumours are to be believed then 'Bharat' shooting will commence once, Tiger Zinda Hai shooting completes. Film will get released in some suitable date in 2018 or may be early 2019. Nothing is confirmed yet. Bharat will be a usual commercial potboiler, which die-hard Salman fans will like. Film will have universal appeal with backdrop being patriotism. Hope we will soon get some more update on Salman Khan and what will he do after Tiger Zinda hai.